Why is Gutter Cleaning so Important? When a gutter becomes filled with debris and can’t function properly, rainwater backs up and can cause damage to your home by flowing over the gutter sections. Once a gutter floods, the water can get underneath the roof or trickle down the side of the house to the lower levels. This could cause rotting of the roof or siding. A clean gutter ensures easy water run-off and helps water damage. A clogged gutter is often filled with sticks, leaves, and other debris from nearby trees. This kind of environment is attractive to certain insects and rodents who often take up residence in the mucky build-up. Keeping the gutters clear of these materials will discourage critters from moving in. Clogged gutters are heavy. Over time, the weight of your gutters may cause stress to the brackets holding it in place. This could lead to damage and could cause your brackets to fail. If your gutters end up flooding, water could seep into the ground along the side of your home. Once this water freezes, it could expand and create cracks in the foundation. Clean them at least twice yearly. If your house has lots of surrounding trees, you may want to clean more frequently to prevent clogging. Consider hiring a professional. While many people choose to clean their gutters themselves in order to save money, a professional will do a thorough job that could save you money in the long-run. They can locate a problem and address it before it becomes more complicated. Moreover, by hiring a professional, you can avoid the risk of incurring ladder-related injuries. Consider installing a gutter guard. Gutter guards will reduce the frequency of your cleanings by preventing debris from entering the gutter. You will still find some debris in your gutter but the amount will be much less than without a gutter guard. You may only need to clean your gutters every one to three years. For more information, please feel free to reach out to the experts at Doing It Right Roofing Siding Remodeling LLC. This entry was posted in gutters on July 30, 2018 by admin. I always tell everyone, “I could teach a monkey to install shingles on a roof.” I wish I had access to a monkey so that I could prove my point. The fact is, most roof leaks are not associated with the shingles themselves, but the protrusions and entities surrounding and within the roof area. These things should be checked out when a new roof is being installed. Diagnosing a problem before will save you grief later. Through the cap or through the facing, if in bad condition the chimney on your house will leak. I cannot even count the times that we were called out for service because of a leaking chimney area. More than not, it was the chimney itself and not the roof surface. You should have your chimney routinely checked by a qualified person to ensure that it is holding up to the elements. Whether step flashing, counter flashing, valley flashing, pipe flashing or any other type of flashing, I can assure you at one point or another, if not installed properly, you will develop a leak. Backwater seams, overlap, nailing through flashing, or just not knowing what you are doing are just some of the interesting things we have seen over the years in regards to flashing leaks. Make sure your contractor installs all new flashing when a new roof is installed. They can be tricky. Quality of the skylight and its existing condition are the true factors in what you should do with them when you replace your roof. Cost, of course, is the other factor to be considered. I can tell you this, 9 out of 10 service calls we look at in regards to the skylight area is skylight related and not shingle related. That pretty much speaks for itself. Be aware of skylight condition and accept the fact that they should be replaced with a new roof installation. Driven weather has always been a nemesis of roofing contractors. We have provided thousands of service calls for roof leaks to find out that the leak had generated from a side wall or through the siding panels. When having your roof replaced it is important that you speak to your contractor and get them to do a once over of the areas surrounding the roof to ensure additional issues do not exist. If they exist have them addressed as well. This entry was posted in Uncategorized on July 18, 2018 by admin. What Siding Do You Need for Your Home? What is your budget? – One of the first things you need to consider when looking for new siding is what your budget allows you to purchase. If your overall budget is on the lower end, you may be limited to the type of siding you can choose from when working with your contractor. Certain materials require larger budgets, but it does not necessarily reflect the durability of the siding itself. How long will you be in your house? – Whether you are looking to sell your house in the next few years or you and your family are in your “forever” home, you need to consider how long your stay will be in your current home when choosing siding. Specific types of siding can raise the value of your home if you are ready to put it on the market. Additionally, you need to think about the material of your siding if you plan to stay in your home for many years to come. Are you still trying to find James Hardie siding in Pittsburgh that fits within your budget? Give the professionals at Doing It Right Roofing, Siding, and Remodeling LLC a call today at (724) 351-0499. This entry was posted in Uncategorized on July 16, 2018 by . Is Your Roof Ready for the Rain? While we never really see a season in Pittsburgh that does not involve rain, the wetter months of late summer and early fall are right around the corner. Every homeowner thinks that they have their roofing system adequately patched, waterproofed, and ready for rain, but there are signs that you can see before a heavy downpour that say otherwise. Here are some ways that you can check to see if your roofing system is prepared for heavy rains and what to do if it is not ready to handle it. Check your gutters – One of the most important things that you can do to prevent your roofing from leaking or being compromised during heavy rainfall is to maintain your gutters. Unfortunately, the task of cleaning out your gutters or repairing them if they are not working correctly can be smelly, messy, and frustrating to do. 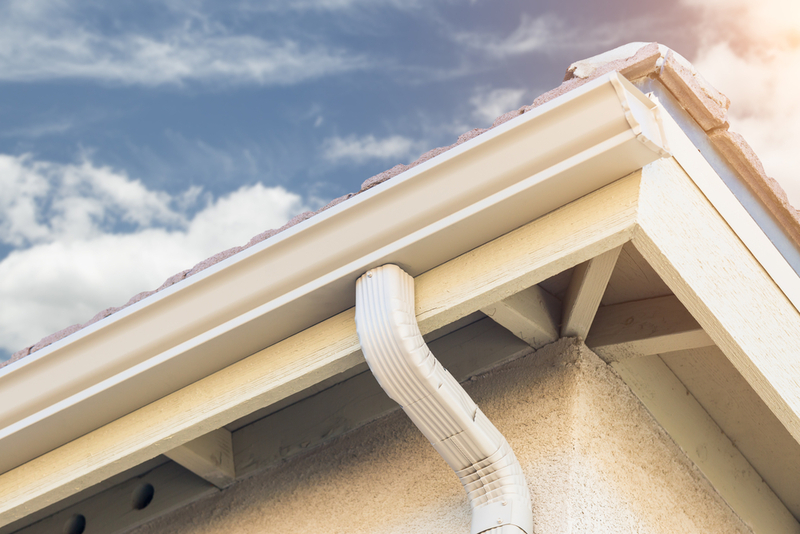 However, properly maintained gutters are going to be your best armor from the persistent rain storms that the end of summer and early fall bring to Pittsburgh, so get a head-start on checking them while it is still dry outside. 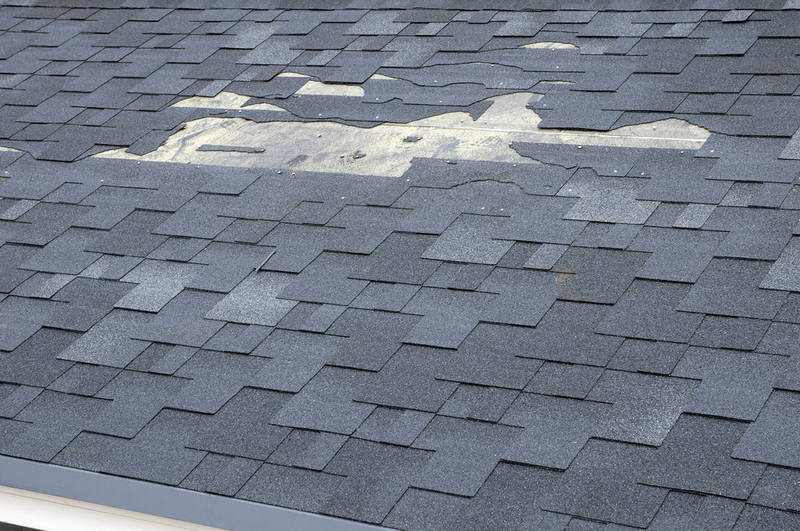 Patch those flappy shingles – Are there a few shingles on your roof that could use some TLC before a torrential downpour? Patch them up while the weather outside is still cooperating with you. 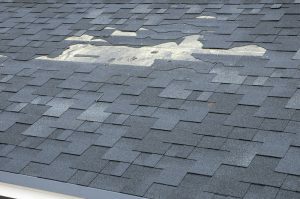 Even though you may think that one or two loose shingles might not affect your roofing system, you are wrong because they can heavily damage what is underneath. Consider having a partial or comprehensive roof inspection on those areas where your shingles are flying free to prevent any leaks during hurricane season. Are you in need of roof repair in Pittsburgh? We can help at Doing It Right Roofing, Siding, and Remodeling LLC today at (724) 351-0499. This entry was posted in Uncategorized on July 13, 2018 by . At Doing It Right Roofing Siding Remodeling I reinforce into every facet of our business the same thing every day — details, details, details. Last blog I touched on some of those details to help homeowners weed through the contractors to make the right choice. This blog will continue that trend to assist the homeowners with the out of the ordinary items. It’s important to compare apples to apples, not oranges.Is all of the information I need to ensure a proper roof installation in my bid? In the age of computers, finding what you should have and not when a roof is to be installed is right at your fingertips. Deferring to the manufacturer and their website will eliminate any second guessing. Can I be sure that the contractor that performed the installation will be there when I need them in case a problem does occur? Getting a warranty of more than a year or twomakes more sense and protects you in the long run. When paying a deposit read between the lines.Most companies who do short-term projects such as roof installation should be able to incur the cost of the labor and material for over a few-day period. This term will separate the stronger companies from the weaker ones. You should be sure that nothing will ever get in your way when the installation of your roof is going on. Financial issues should scare you off. Was All Documentation Available and True? Without being registered in the State of Pennsylvania database with the Attorney General’s officea contractor installing roofs is not permitted to do such installations. Furthermore, if their registration number is not on their documentation they are hiding something. 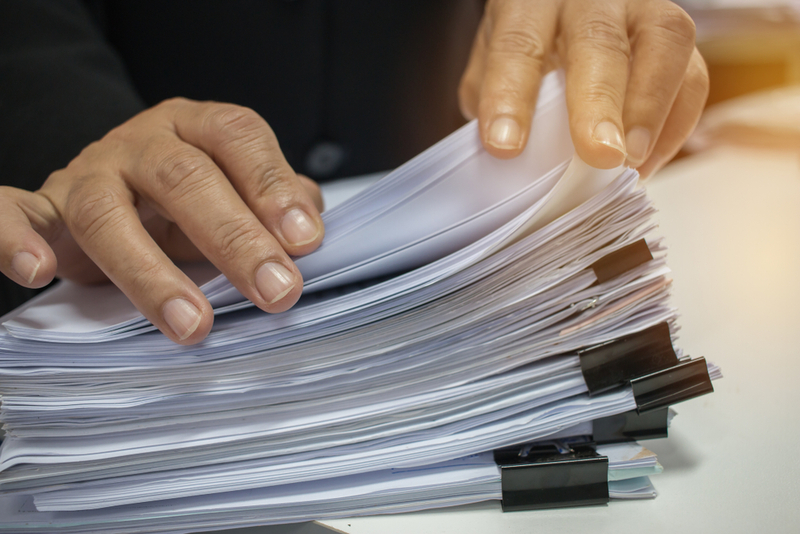 If your contract proposal is no more than one or two pages long, then question the lack of information. There is so much to specify in a roof installation other than “ tear off the old shingles & replace them with new ones “. It amazes me how many people sign those kinds of contracts and then complain how they got taken. Be sure you have everything spelled out in length. Insurance certificates should be presented to you for review. Although insurance varies and coverages can be misleading always get your name as an additional insured for your protection. No one should have a problem with this. If they do then something is being hidden. Depend on us for honest and reliable roofing, siding, and remodeling advice. We proudly serve the Greater Pittsburgh area. Contact us and schedule a free consultation. This entry was posted in Uncategorized on July 11, 2018 by admin. It is water resistant – One of the first things people usually ask about PVC trim is if it will hold up in the wet weather. Since it is made from the same material used to construct the plumbing in your home, the trim is not affected by moisture whatsoever. It comes in many colors, shapes, and textures – Like many of the exterior home remodeling options we offer, PVC trim also comes in just about any width, shape, color, and texture you can dream up. Since it is so versatile, many home remodelers like to custom order it in a color or shape that will make the siding, deck, and other exterior elements of a home stand out among the rest. Adding PVC trim in Pittsburgh to your home is just a call away with our team at Doing It Right Roofing, Siding, and Remodeling LLC. For more information about how adding PVC trim to a home can boost its’ curb appeal or just information about our trim options, materials, colors, and more, give us a call at (724) 351-0499 today. This entry was posted in Uncategorized on July 10, 2018 by . At Doing It Right Roofing Siding Remodeling, I reinforce into every facet of our business the same thing every day, details, details, details. I think most of us as consumers would agree that cost, what you are getting for that cost, and what it looks like are the main objectives that go into every purchase we make. I understand value, need, affordability and want also play major roles. Let’s take a look at some of the details that you probably will overlook when making that final decision to replace your roof. The majority of things we buy come with a specification and/or warranty because there are specific outlines and rules to follow. In order to achieve the best performance from that product you must follow their guidelines. “If that product goes bad, do I have the warranty coverage in place to replace it without additional absorbent cost?” You must ask yourself this question when replacing your existing roof with a new one. Do not discredit a contractor that is suggesting you purchase an extended warranty or for explaining the existing warranty for that matter. That contractor is just trying to make you aware of what you are getting and what to expect if something goes wrong. Those who just try to pass it off for something that it really isn’t or do not explain it at all are the ones should be cautious with. Companies put this information out there and present it with the products for a reason. They want the products installed correctly so that you, the consumer, are not taken advantage of. In writing, a detailed outline of the installation and in writing, that they will follow manufacturer’s specifications. In some cases you might be asked to sign off on some items which might not apply to your project and that is acceptable in most Not all specifications can be followed on some house styles. Make it a point to discuss these items in detail with your contractor. This entry was posted in Uncategorized on July 4, 2018 by admin. If you are looking to revamp the exterior of your home, you are most likely weighing your options when it comes to siding. Depending on the overall look you are trying to achieve, as well as your budget, timeline, and climate, you will look into a variety of different siding materials to redo the outside of your house. One of the most popular, affordable, and stylish types of siding available to homeowners is vinyl siding. Here are some of our most frequently asked questions vinyl siding that you can read through when determining if it is right for your home. Q: What is vinyl siding? A: Vinyl siding is an excellent, eco-friendly siding option for a home’s exterior. It comes in a variety of colors, textures, and shapes to outfit the outside of your home in, as well as it being made from recycled materials. Additionally, you can also purchase insulated vinyl siding that helps to keep your utility costs down throughout the summer and winter months. Q: Is vinyl siding cheaply made? A: Since it is a more affordable siding option, many people are under the impression that vinyl siding is cheaply made and does not stand the test of time. Even though the price might be lower than other kinds of siding materials, it one of the most durable, environmentally-friendly, and versatile options on the market currently. If you are looking for vinyl siding in Pittsburgh and need guidance on what type of color, shape, or texture your home could use, turn to us at Doing It Right Roofing, Siding, and Remodeling LLC. For an estimate on residing your house or general questions about us, feel free to reach out to our friendly team today at (724) 351-0499. This entry was posted in Uncategorized on July 3, 2018 by . A comprehensive, detailed proposal – When you work with our roofers at Doing It Right Roofing, Siding, Remodeling LLC, you can expect us to deliver a plan that outlines the scope of work from the initial demolition to the cleanup after the project is over. Project payment is not due until all is settled – With us, you will never be left hanging with a project that is half-finished. The roofers at Doing It Right Roofing, Siding, Remodeling LLC will never require the project’s payment balance until the entire project is done. When we have left after completing and cleaning up our project that is when the rest of the payment balance is due. Discounts and financing – Did you know that we also offer discounts for veterans and senior citizens, in addition to a variety of financing options? 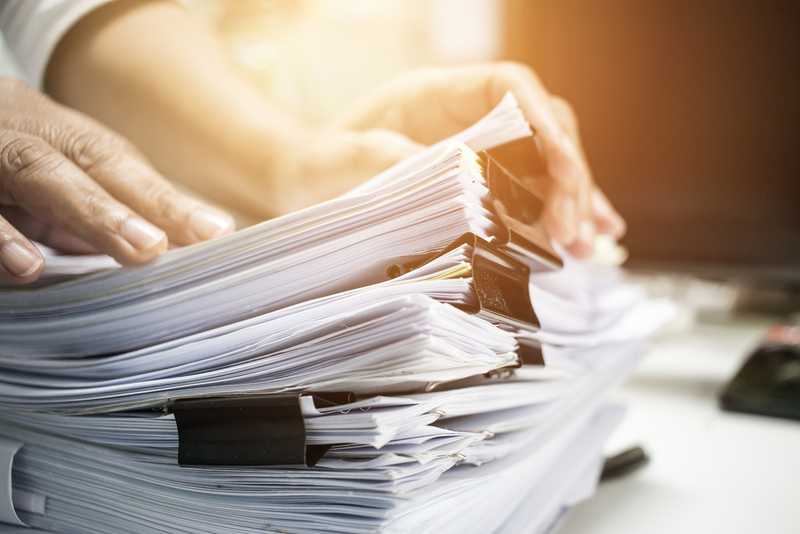 We want the best price possible for our customers, and if you have additional questions regarding our discounts or financings, contact us here. If you are looking for an experienced roofer in Pittsburgh to help complete your repair or complete roof overhaul, we are here to help at Doing It Right Roofing, Siding, Remodeling LLC. Give us a call to schedule your consultation with our team today at (724) 351-0499. This entry was posted in Uncategorized on April 4, 2018 by . Whether you are purchasing a new home or have lived in your place for many years, one of the things you should always keep on your homeowner’s checklist is a roof inspection. Roofing inspections done by the professionals can help find specific issues that the untrained eye might not see at first. Here are some things you need to know before thinking twice about your next roofing inspection. They can tell you how long your roof will last – Sometimes what we as homeowners think about the longevity of our roofing can be completely off from the reality of how long it will last. Having a professional come in for an inspection on your roof can give you the most accurate estimate of how long your current roofing system is going to last you. They are far more comprehensive than you think – Many times, people believe that roofing inspections just consist of a walk around the perimeter of the home, checking to see if there is any visible damage to the roof. Fortunately, many roofing inspections are far more comprehensive and involve the structure, material, and the ceilings and interior parts of the roof. If you are looking for inspections or roof repair in Pittsburgh, put our talented team of roofers to the test at Doing It Right Roofing, Siding, and Remodeling LLC. To schedule a consultation or for other information on our services, call us today at (724) 351-0499. This entry was posted in Uncategorized on January 30, 2018 by . Chat with A Contractor: When Do I Get A New Roof? Monday – Friday: 7:00 a.m. – 4:00 p.m. Copyright © 2019 RoofingContractorPittsburgh.com. All Rights Reserved.